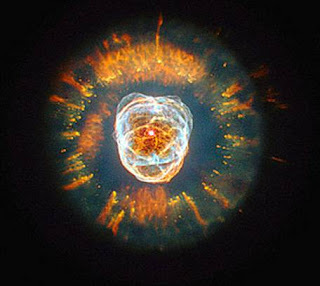 The Best Hubble Picture - "Cat's-eye Nebula*" Outstanding work by NASA! The Top 10 Everything of 2008 - News Stories, Editorial Cartoons, Election Photos, TV Series, etc#. (Time Magazine). Worth exploring. Stories included. A colony of fairy penguins on Warrnambool's Middle Island off the south coast of Australia has dwindled dramatically due to attacks by foxes and wild dogs. However, their numbers are rising again thanks to their new bodyguards - two Maremmas, an Italian breed of sheepdog that bonds with the flock or herd of animals it is protecting. The president, Mrs. Bush, Barbara, and Jenna are deeply saddened by the passing of their cat India ("Willie")," press secretary Sally McDonough said in a statement. "India was a beloved member of the Bush family for almost two decades. She will be greatly missed," she said. It was the equivalent of finding an old Picasso or an unknown Beatles tape hidden away in your uncle's attic. . . only 17 were ever made, and when it's cleaned up and auctioned in Paris next month, experts believe it will fetch at least 3 million pounds ($4.3 million) and possibly much more. Eating a handful of nuts a day for a year — along with a Mediterranean diet rich in fruit, vegetables and fish — may help undo a collection of risk factors for heart disease.